Celebrate - community, diversity, family! Goebel Park, Covington, Ky on Saturday, July 9. Festival with live entertainment, performances and & DJ Julie J; family-friendly activities in our kid zone. Nearly 100 vendors and organizations, safe and secure, fun for all. Volunteers needed! 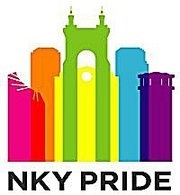 NKy Pride 2011 is presented by Northern Kentucky Pride Inc,. - Ken Stratman, President.